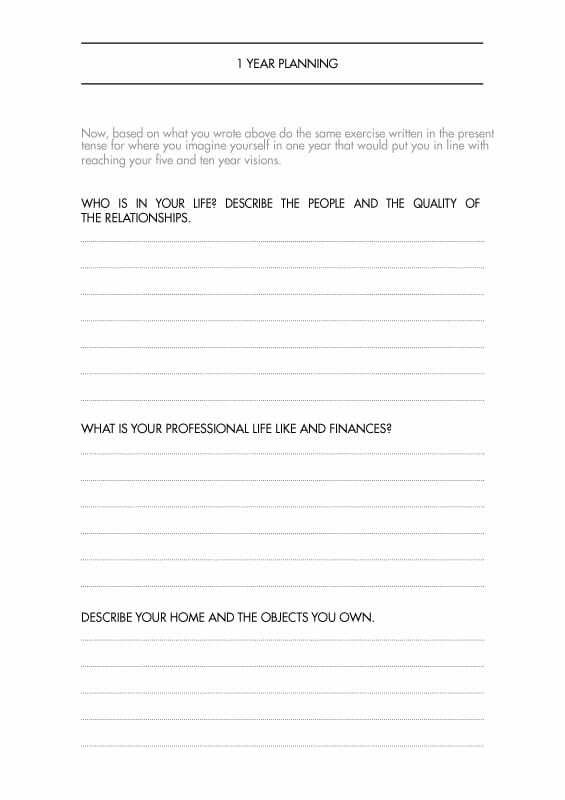 The structure of the planner is to help with your backward planning. 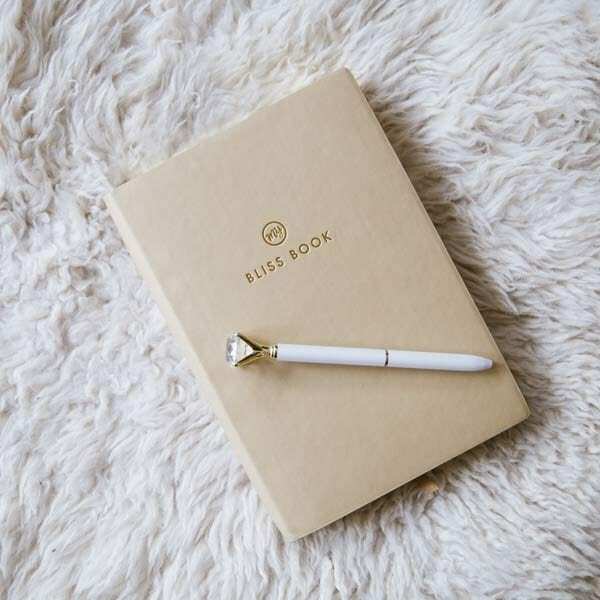 Once you know your true bliss state and all that encompasses, you will work backward from there formulating all the steps you will need to take you to that place. Most people’s ultimate bliss is about 10 years away so don’t worry if you’re thinking you’re going to need more than one planner! 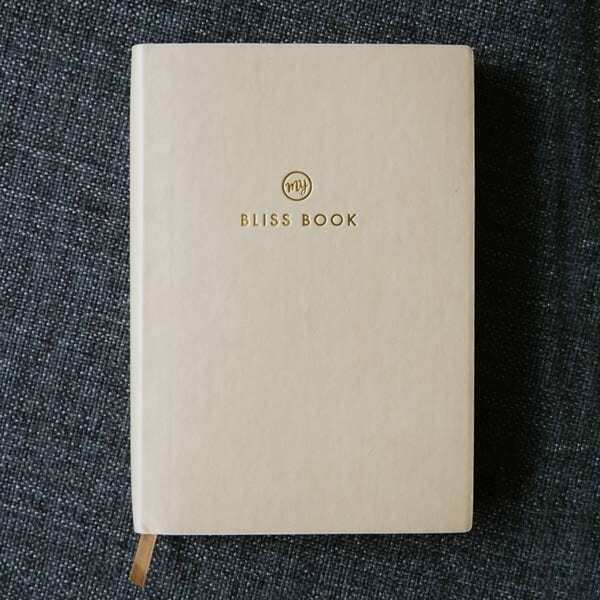 The planner will focus on your first-year goals, making sure they are always in line with your personal My Bliss Book. 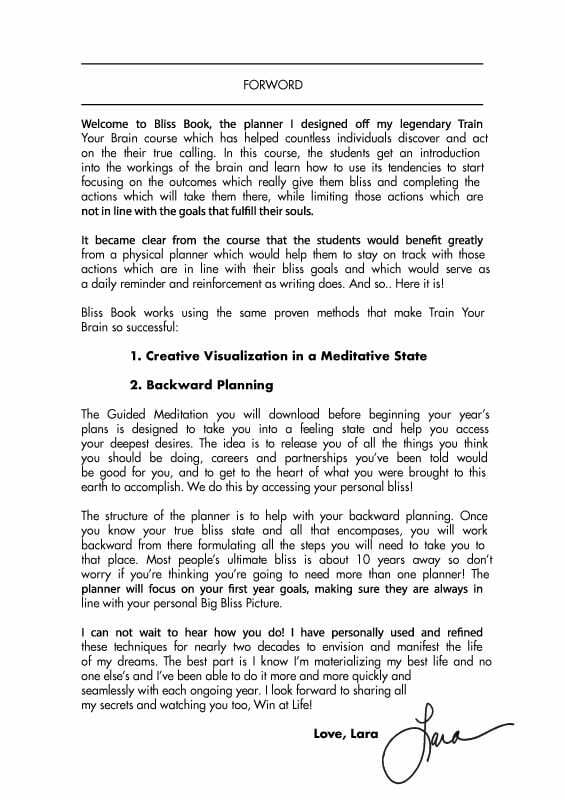 When you order My Bliss Book you receive a secret access code to a year’s worth of online coaching for FREE. Because of this, we can not accept any refunds. 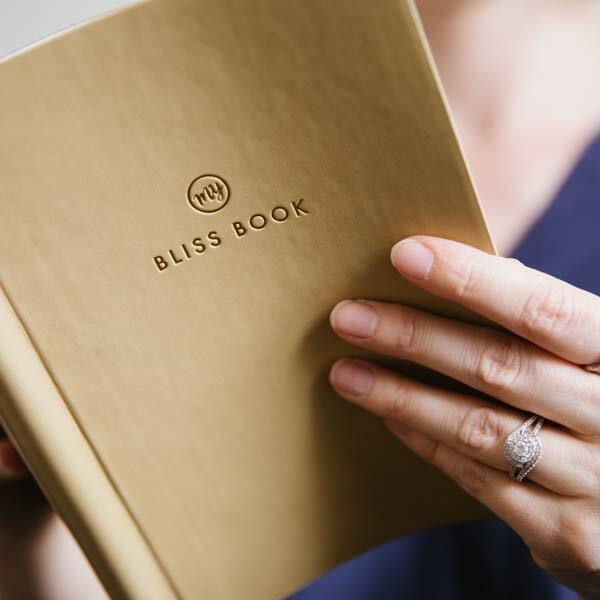 We believe My Bliss Book offers value for anyone looking to get more focused, reduce stress, make a change. We hope each and everyone can take something positive away from it. 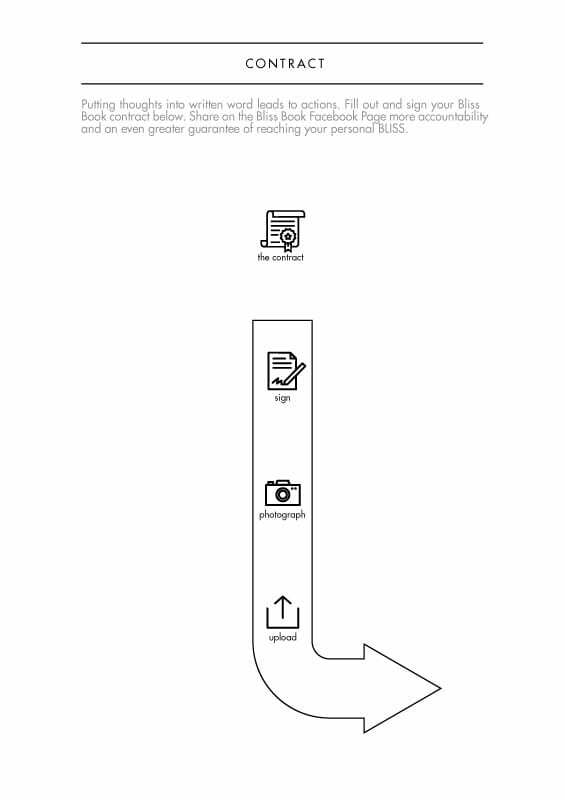 If your My Bliss Book arrives damaged, please send a photo of damage to lara@laraland.us within 48 of receipt. Someone will contact you about a replacement. 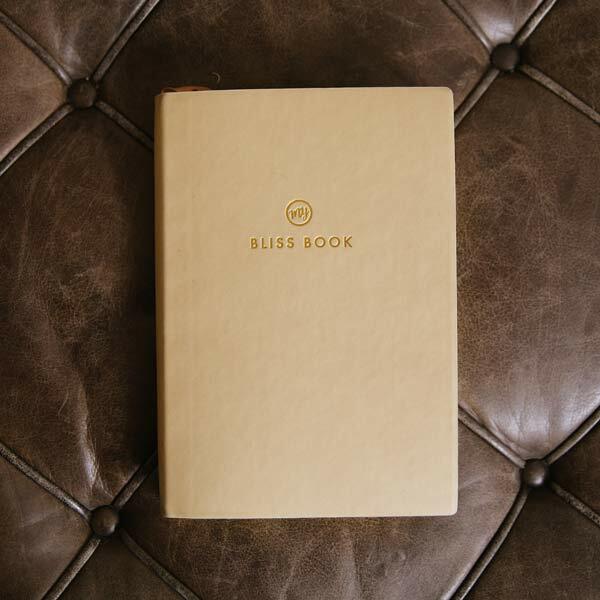 My Bliss Book ships within the Continental US ONLY. 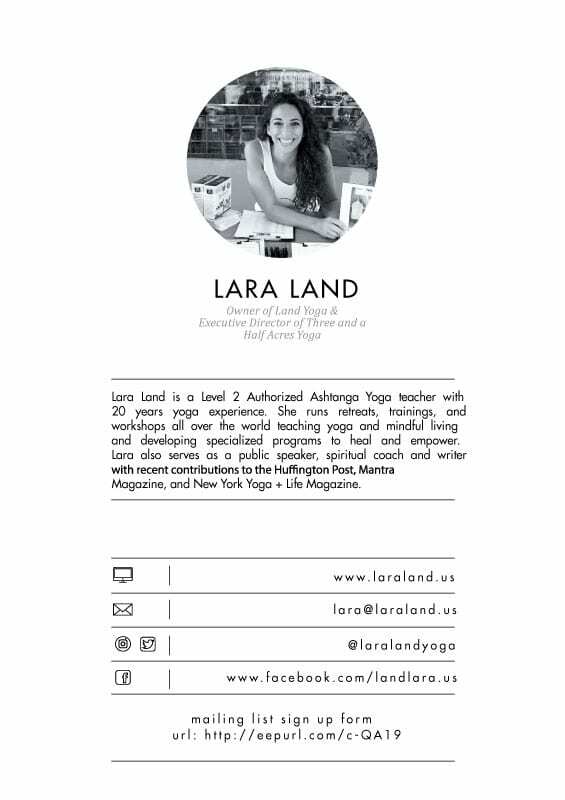 Lara Land is a Level 2 Authorized Ashtanga Yoga teacher with 20 years yoga experience. 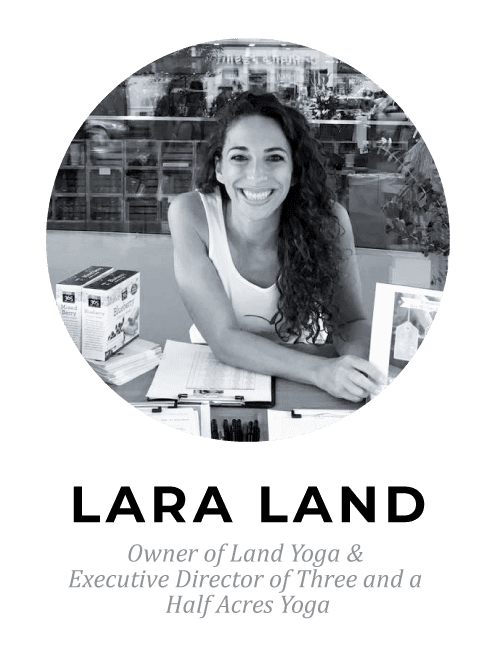 She runs retreats, trainings, and workshops all over the world teaching yoga and mindful living and developing specialized programs to heal and empower. 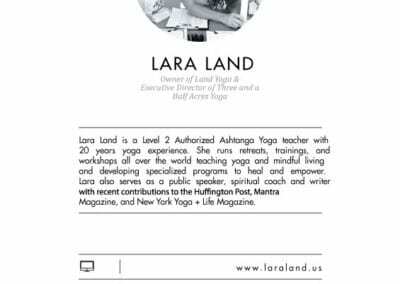 Lara also serves as a public speaker, spiritual coach, and writer with recent contributions to the Huffington Post, Mantra Magazine, and New York Yoga + Life Magazine. 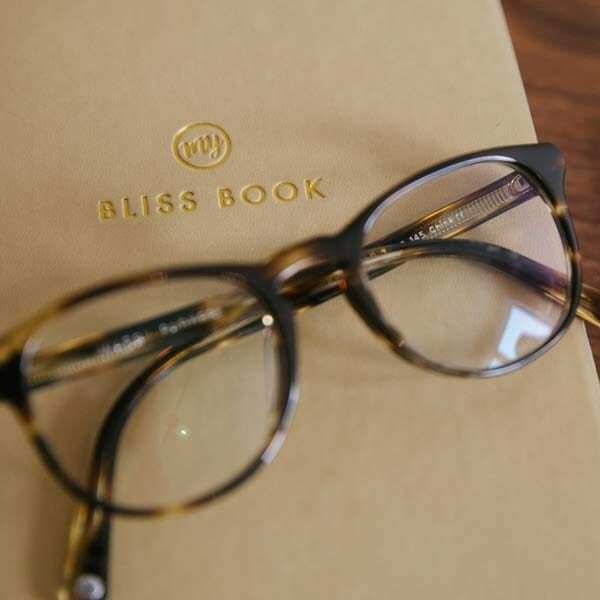 Love my Bliss Book! 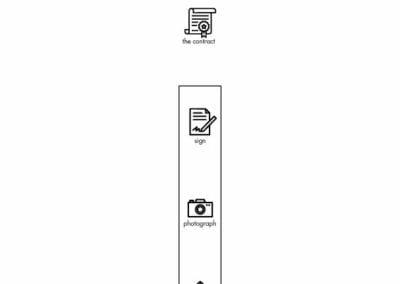 I know this will change my life. At first, I was unsure if I should purchase My Bliss Book because I have never been great at journaling or taking time to write down my goals and hold myself to them. 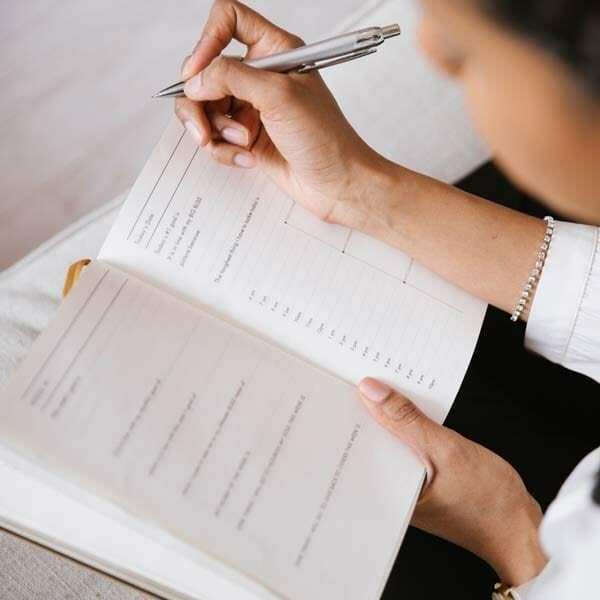 I was trying to decide if it was necessary because I always set goals for myself and have been good about achieving them without putting pen to paper. 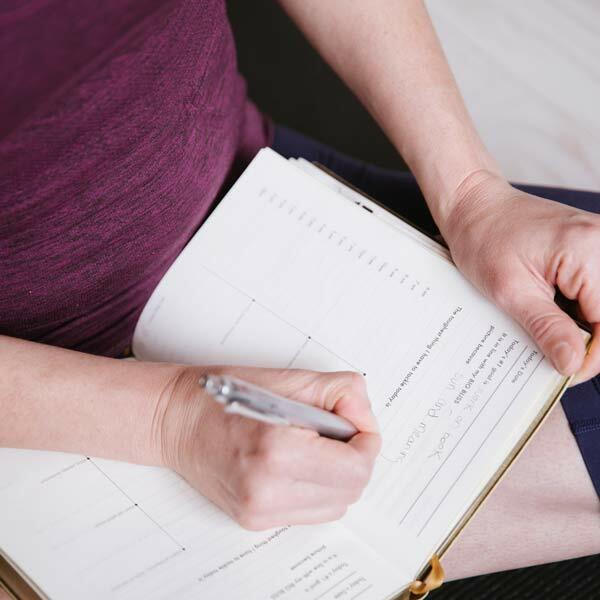 After becoming pregnant, I was feeling that the goals I have been setting for myself may not align as well with the decision/goals I will need to set once my daughter arrives. 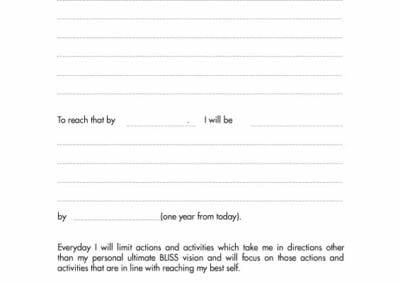 I decided to purchase My Bliss Book to align my current goals with my new goals as a mother and do so with intention. 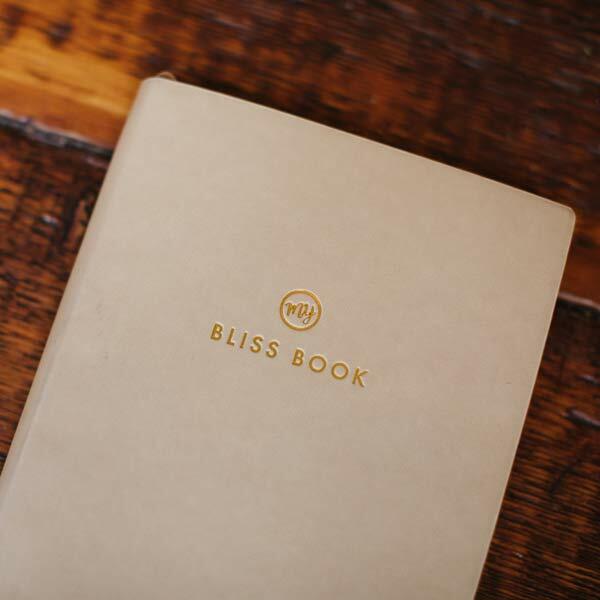 My Bliss Book is high quality and beautifully designed. 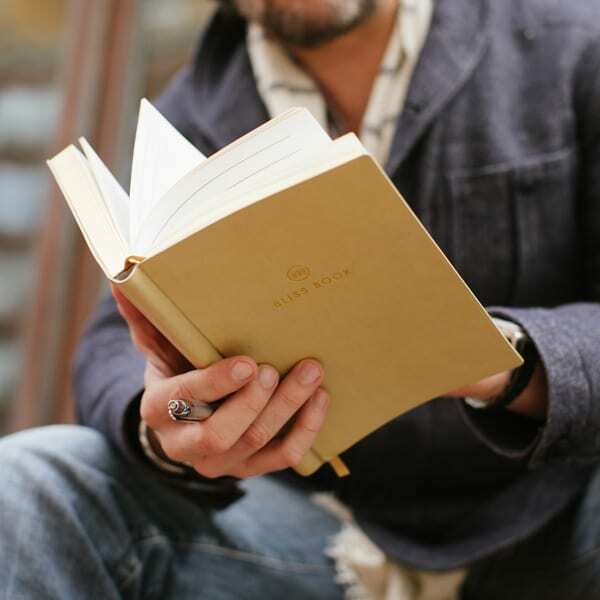 I love the look and feel of the book and the content inside is well organized and easy to navigate. 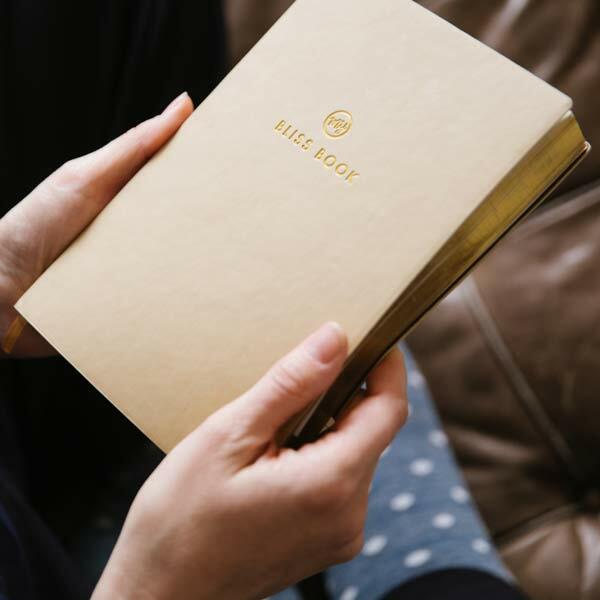 I am still in the very beginning stages, however, I am always thinking about my goals for each day and making sure I can revisit My Bliss Book in the evening with a positive report. 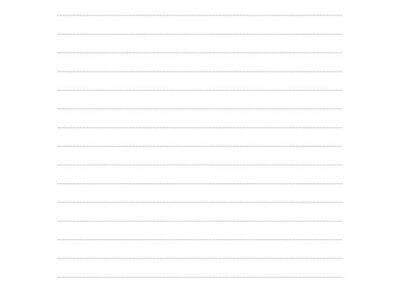 So far, I have enjoyed setting weekly goals best. It can be hard to gauge what I can get done each day as my job’s workload is very dependent on external parties and changes everyday. 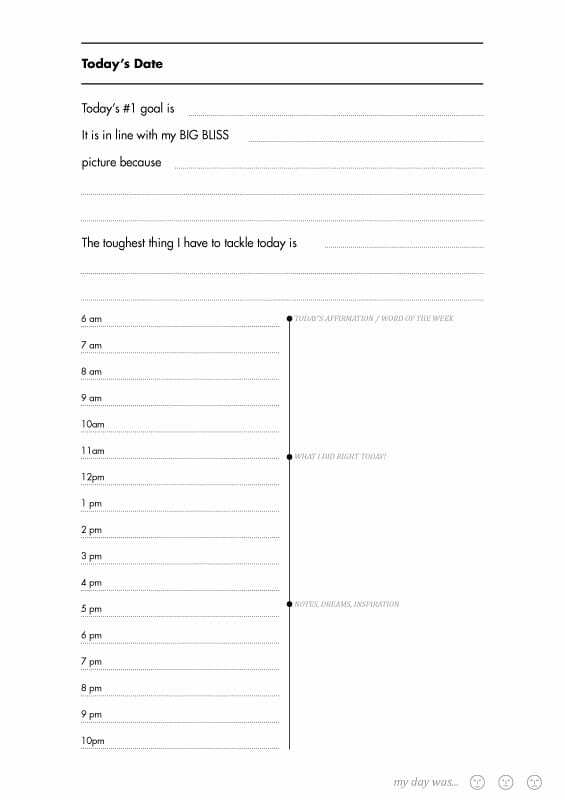 Weekly goal’s help me create an overall mindset knowing I can move things around to fit my daily schedule. 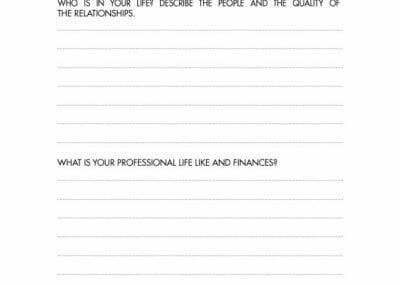 My Bliss Book is helping me take the time to organize my life both personally and professionally in a way I never knew I needed to. As soon as I saw your videos describing the book, the process, and the ultimate goals, I knew I’d love it. I recently worked on vision boards with my daughters and had very fresh and real goals for myself. 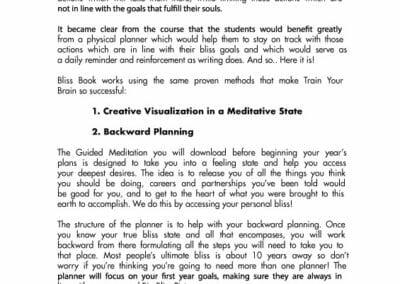 The timing of the Bliss Book couldn’t have been any better for me. I am a super sensory person so the way something looks, feels, etc means a lot to me. I’m obsessed with the softness of the cover, the gold, and the specificity of the directions. INTENTIONALITY. I literally look forward to my daily train ride in order to intentionally plan the most important parts of my day in this way. 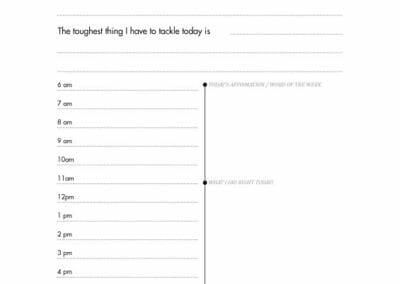 It was so smart to make it evergreen so that you’re not stuck with specific dates and how it can be de-motivating if you miss a week. 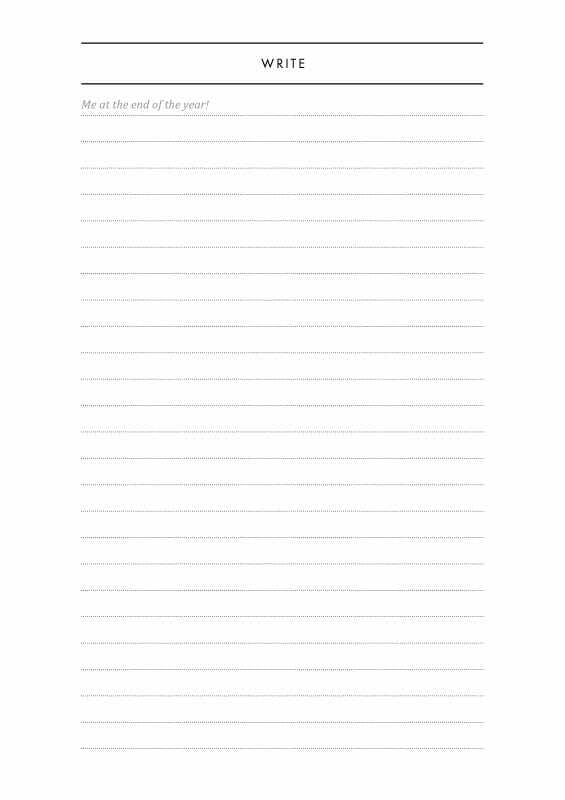 This has always tripped me up in using planners. I have already purchased two more for upcoming birthday gifts for friends that I know will be touched and motivated by it. For anyone looking for something they can’t quite find, struggling to understand their path, etc I think it’s just brilliant! WELL DONE. It’s beautiful, inside and out. It’s also strategic, thoughtful and as I said before, intentional. 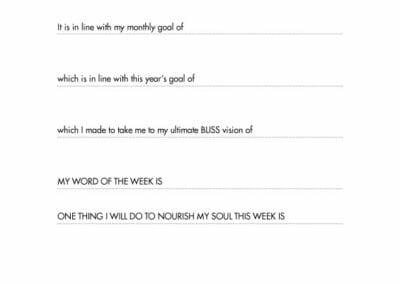 After completing my first week of goals for my future Bliss, I have realized that this planner along with taking action has lit a fire in my belly. I’ve never considered that a planner would work for me. 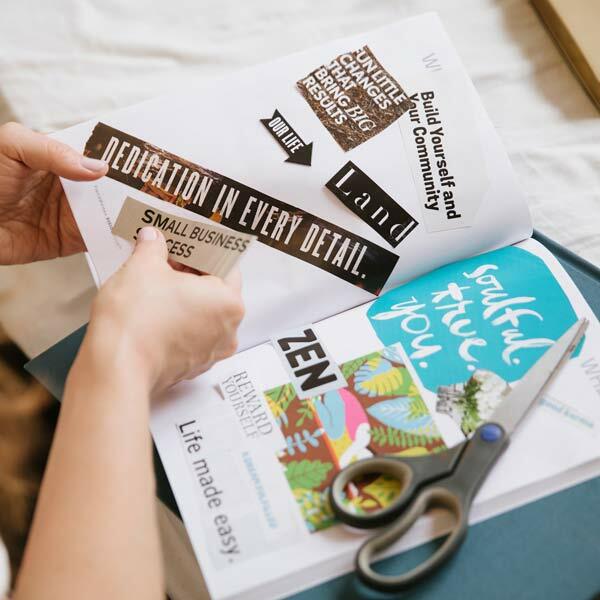 Diving deep into what I really want to work towards has held me accountable for my actions & is helping me to see the bigger picture much more clearly.